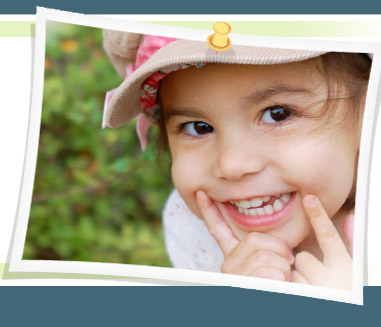 Children should be evaluated by a Dentist no later than 12 months of age. Sugar and bacteria cause cavities. It takes about 30 minutes for the mouth to recover from each exposure to sugar. Dental caries in children are 5 times more prevalent than asthma. Children can die from a dental abscess. Children should be weaned off the bottle by 12 months. Children should discontinue the sippy cup by 24 months. SIMPLE SUGARS: such as carbonated drinks, cookies, cakes, candy, sugary cereal, juices and dried fruit should be limited. Kids should not drink soda, Gatorade, Tampico, or fruit juice. Soda is liquid candy. Parents should avoid "on demand" habits of sugar of any kind. Limit sugar exposure to meal or snack time only. No more than 4 to 6 ounces of juice a day, with a meal. From 2 to 5 years of age use a pea size of toothpaste. Kids should not brush their own teeth until they can tie their own shoe; otherwise you need to do it! ie: the toothpaste should be spit out not swallowed.